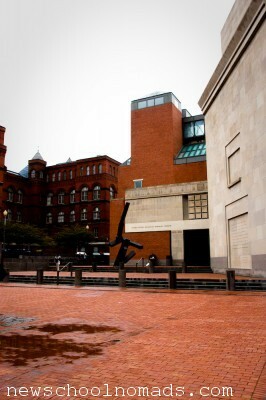 The grey skies and drizzle seemed fitting for the main destination of the day, The United States Holocaust Memorial Museum. We started with the children’s exhibit, Remember the Children: Daniel’s Story. The exhibit is based on the historical fiction novel, Daniel’s Story. It’s hands-on exhibit exhibit that follows Daniel from his warm bright home, to the confines of the ghetto, and finally into the dark concentration camp surrounded by barbed wire. 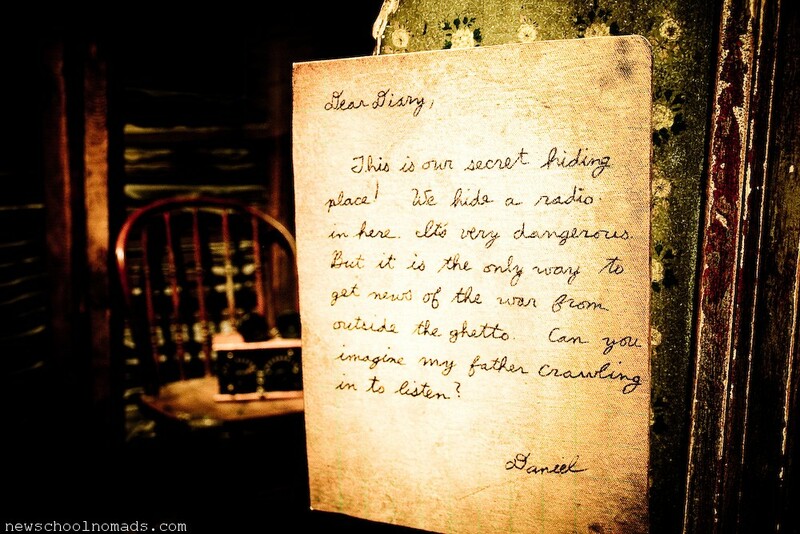 Along the way there are diary entries written by Daniel describing life through his child’s eyes. Afterwards, we moved onto the main exhibit which is a narrative telling of the Holocaust using artifacts, video, and words. It spans 3 floors. Three floors of heartbreak, horror, and human spirit. It took us 5 hours to get through the United States Holocaust Museum. By the end we were all emotionally drained. We didn’t make the decision to take the boys to the museum lightly. 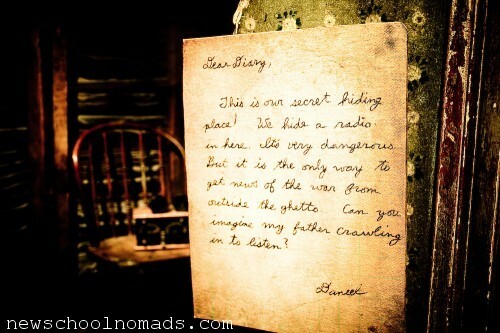 Ultimately, we decided it is a very important piece of history that we felt like they are mature enough to begin to understand without being terrified. It puts our “hardships” into perspective and, perhaps more than any other event in modern history, it reminds us of the cost of silence in the face of injustice. It’s something no one should forget. 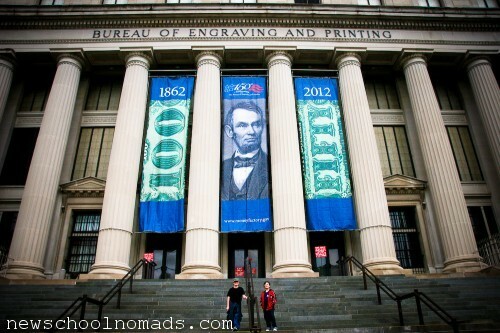 We also visited the Bureau Of Engraving and Printing next door but millions of dollars just doesn’t compare to millions of lives.